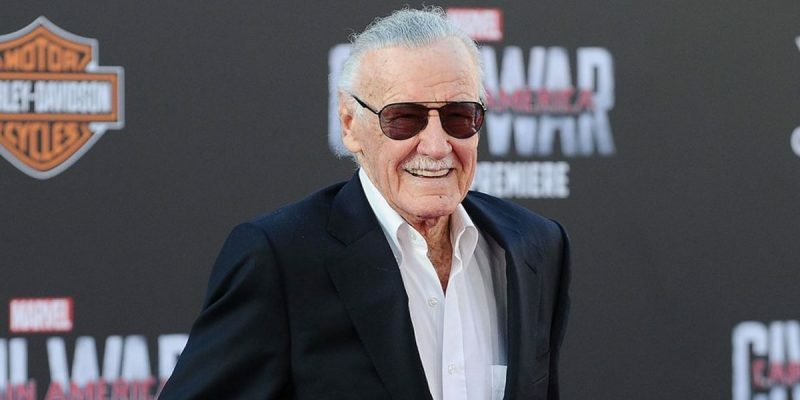 American popular culture lost one of its giants with the passing of Stan Lee earlier this week. The 95 year old Lee wasn’t just a member of the Greatest Generation but was that rare individual who managed to connect with successive generations. While his trademark Members Only jacket went out of style in the 1980s, Lee never did, remaining a relevant media and entertainment figure for over half a century. Observing the folks who patiently waited for hours in meandering autograph lines at the sundry comic book extravaganzas he attended up until the end showed his amazing broad appeal, from Boomers to Millennials. And his presence at these far-flung conclaves demonstrated his commitment to his legion of fans because Lee certainly didn’t need the money. While Lee didn’t create many of the characters that captured the imaginations of people worldwide through comic books, not so great television shows, and blockbuster movies, the mustachioed and tinted spectacled face of Marvel made them better through finetuning thus making relatable to the readers. In the second installment of Quentin Tarantino’s Kill Bill movies, the antagonist played by David Carradine mused about how Superman was by his nature a super man and that he had to pretend to be a weak and mild mannered reporter to blend into society. The same is true of DC comics’ leading Amazon, Wonder Woman. Even the mortal Batman possessed an inherent advantage. In the recent Justice League motion picture, the Flash asked Bruce Wayne what his super power was, to which Ben Affleck’s Wayne character humorously replied he was rich. Superman, Batman, and Wonder Woman were all born on third base. Thy were the equivalent of the Greek gods. In contrast, Marvel’s had to contend with not just fighting the likes of the Green Goblin, but also helping a friend battle a drug addiction or chronic depression and paying the light bill before the power got turned off in their modest apartment. Marvel’s heroes were powerful but they shared the same daily grind as everyone else. Lee understood you couldn’t out super Superman so he literally extra-ordinaried him. Comic book readers didn’t identify with Spiderman but they could with Peter Parker, the socially awkward teenager who was more afraid of asking out a red head named Mary Jane Watson than battling Doctor Octopus. Starting with the arrival of Christopher Reeves’ Superman from Krypton in 1978 and throughout the mostly successful Batman movies in the 1990s, DC characters ruled the comic book character box office while Marvel’s attempt at the silver screen dollar resulted in underperformance, direct to video, or in the case of the first attempt at a Fantastic Four featured film, was unreleased and entombed in the same New Mexico landfill where those surplus ET Atari 2600 cartridges are buried. Starting with Blade and then followed by X-Men and Spiderman, the Marvel brand dominated the superhero genre, providing vehicles to revive the film careers of actors and actresses, introducing relatively obscure characters to the hoi polloi, and becoming a currency printing press in ticket sales and merchandising. Lee’s self-deprecating trademark cameos in the films were not only entertaining but also served as the connection between the big screen heroes and the comic book readers from back when Iron Man wasn’t that cool, an acknowledgment that it was the loyalty of Marvel’s longtime readers who got the characters from the magazine racks of K&B to the 10-figure film revenue realm. He had to wait but Stan Lee finally got a taste of Valhalla on earth, joining Walt Disney, Jim Henson, George Lucas, and Steven Spielberg as a revered titan of American popular culture.